Just to start out with, the 2016 ICAST award winning Penn Slammer 3 was constructed in order to fulfill the most demanding needs of every angler. 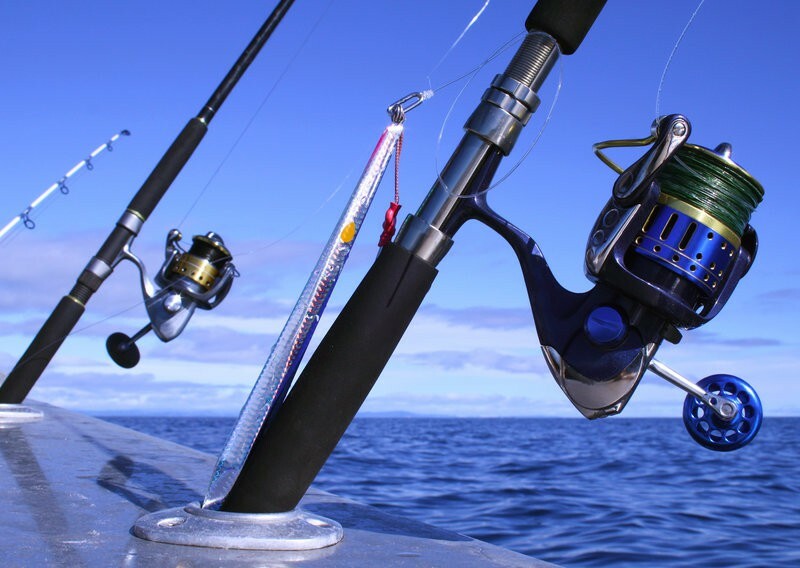 The American company Penn owned by Pure Fishing has been at the forefront of durable reel design since 1932. Here comes the Penn Slammer III with multiple innovative features that we have never seen before on a spinning reel. A spinning reel you can depend on even in tough conditions. Thus, Penn manufactured a reel that will meet all demanding expectations and will stand up to the most challenging and strong fish. Since you are reading this article you may be interested in buying a Penn Slammer 3, so we will help you with an ultimate Slammer review. The Penn Slammer III is an open face reel and it comes in eight different sizes from 3500 to 10500. Thus Penn offers a wide variety of series so you can choose the right one which will offer you freedom and convenience. It is recognizable thanks to its black and gold accents. For instance if we take a closer look at the Penn Slammer 3 3500 model we can see that it has a gear ration of 6.2:1, braid capacity 300/0.25 mm and a weight of 394 gr. Furthermore, there is a 13.6 kg max Dura Drag system which is an innovative system that improves tremendous the performance of the reel. As a result, Penn increased the resistance level of the brakes in order to efface the initial surge in drag pressure. Bigger sizes have also bigger maximum drag and weight, so that depends on you. Bear in mind that the weight is not a great issue. The Penn Slammer 3 6500 has gained in max drag but the gear ratio has decreased. With a low gear ratio reel, a little amount of line is recovered with each turn of the handle. A high gear ratio reel recovers line quickly, but it does not have enough torque to fight a strong fish. Anglers who want to quickly retrieve drop shot rigs usually select a reel with high gear ratio. Emphasis should be laid on the fact that Penn wants to increase the drag system resistance in controversy to her past reel models, for instance the Spinfisher V 3500 which had max drag only 9kg. The Penn Slammer III utilizes 6 stainless steel ball bearings, CNC (a computer-controlled subtractive manufacturing process) gear technology and internal CNC brass gears. Just thinking of the construction material should be enough to make you understand that reel extremely durable. Thanks to the IPX6 Sealed System, the Penn Slammer 3 will be solid with hardly any flex when fighting a fish. IPX6 Sealed means that the reel and its internals are protected from the water and salt water corrosion. It has also a thick bail wire and a handle with a metal ball knob and there is also a rubber knob in the box if you prefer. Moreover, it was built using high quality aluminium in order to provide a nice balance on the retrieve without the wobble in your hands. The Penn Slammer spinning reel is created for heavy duty fishing so it features an innovative drag system that creates ample drag pressure. The Dura Drag system uses a special phenolic formula that protects the reel from water sprays and gives anglers a smooth fishing experience. It is scientifically proven that after thirty hours of drag pressure, a Penn reel with that Dura Drag system performed as it were new, while others had a great damage. In other words, it protects the reel from deterioration during a harsh battle with a fish. According to Penn Engineers this drag system uses the same materials as racing cars manufacturers who are using this formula in the car transmission. Anti-Reverse is a system that prevents the reel from turning backwards and engages the drag. This is of vital importance on a spinning reel, because it will release line without any movement of the handle. When a fish bites it will try to swim the other way, but the anti-reverse system there is no pull back on the handle. Braided line has a tendency to slip on the spool, but thanks to the anti-skid gasket there is no problem. It keeps your line steady and protected from slipping. Sizes from 3500-5500 have an automatic bail trip mechanism that automatically moves the wire from open- to the closed position, while 6500-10500 feature a manual bail trip. Penn has used top quality materials in order to craft a spinning reel which will meet even the most demanding expectations. 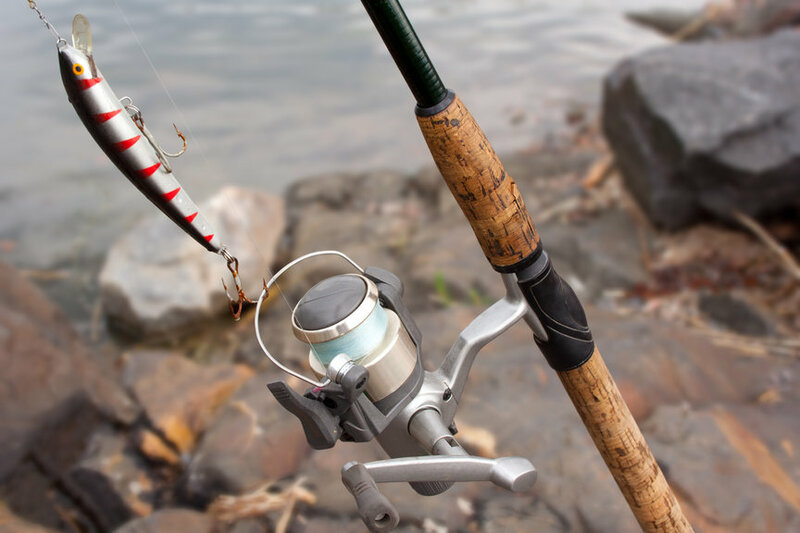 Despite the fact that it could be considered a little heavy compared to other reels from the same category, it gains in durability and performance. The weight is not a great issue if you just think that this tool will last a lifetime. The only negative is that the models 6500-10500 have a manual bail system which means that if you forget to close the bail and accidentally try to retrieve line there is a great danger to harm the internal gears. We all know that feeling of a strong fish bite?? Its a tremendous feeling when your adrenaline is coursing throughout your body and you finally have the fish in your hands. We feel that were able to analyze critically the Penn Slammer 3. Their innovative gearing combined with amazing drag performance and high quality materials makes it a good tool to have as part of your spinning reel arsenal. Equally important is the fact that you can use some larger sizes that the Penn Slammer iii has to offer for jigging. 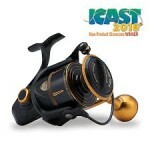 Finally, it is a ‘’value-for-money’’ fishing reel and you will never regret that you purchased it. Thanks for the review. I was leaning toward the Slammer 8500, and your article sealed the deal.